Born on St. Patrick's Day and hailing from County Wicklow, Hozier was raised on the building blocks of popular music: rhythm and blues, soul, jazz and the deep dark stuff stretching from Chicago to the Delta. He joined his first band when he was 15 years old, fronting a soul band with some older heads. Hozier taught himself to play guitar and piano, and went to Trinity College to study music. However, four years looked like a long stretch, particularly when the goal was to write, record and perform his own music, so he dropped out to concentrate his talents on the creative process. Hozier's first release was a four-track EP in 2014 that featured his five-time platinum hit Take Me to Church. He followed this up in 2016 with the single Cherry Wine, raising awareness of domestic violence. 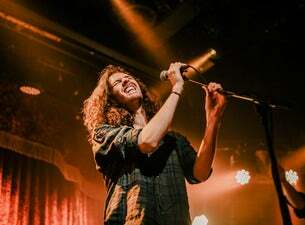 Following the release of Hozier's Nina Cried Power EP in September 2018, he hit the road for a string of new live UK shows – and he's just announced he and his band are back will embark on an extensive UK and European tour in late summer 2019, ending in a triumphant five-date run at London’s iconic Palladium.